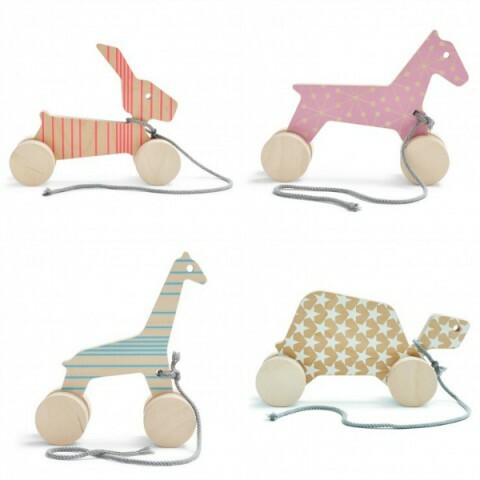 I love a new twist on a classic toy and when it features the unique style of Donna Wilson, it’s a must-see in my book. 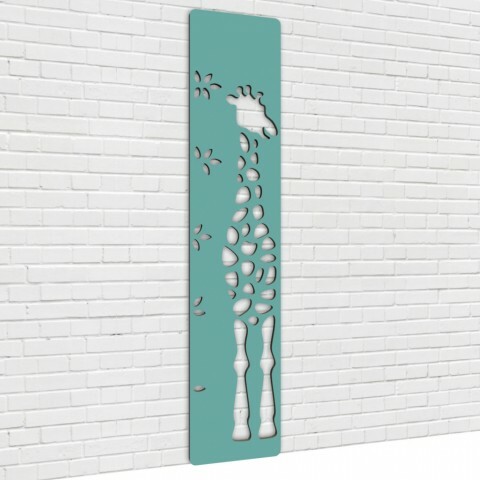 New from Numi Numi Design, these powder coated steel growth charts are off-the charts cool. 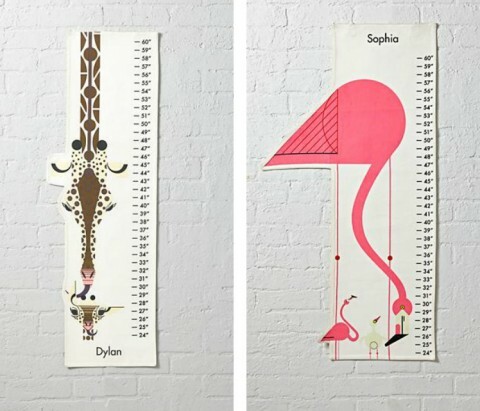 They’re among the few growth charts that are as functional as they are beautiful works of art. 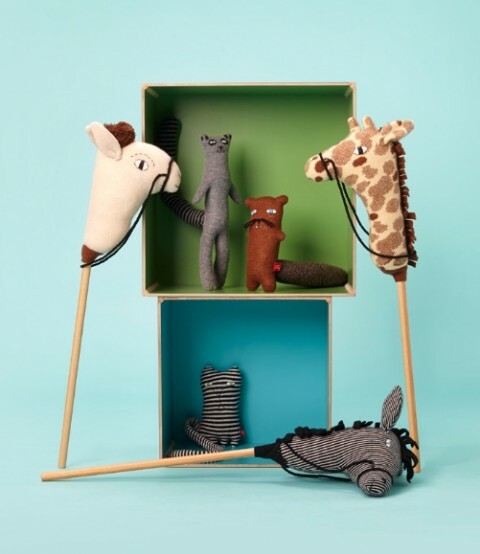 This post is not sponsored, but we are grateful that Numi Numi Design is one of our advertising partners. 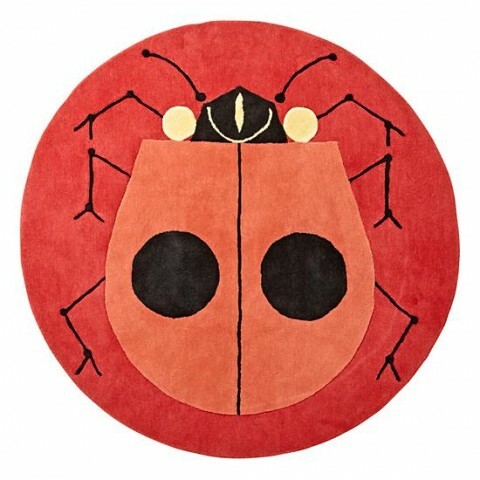 Target is a great place for almost all home items. I can happily get lost in the home section for hours. 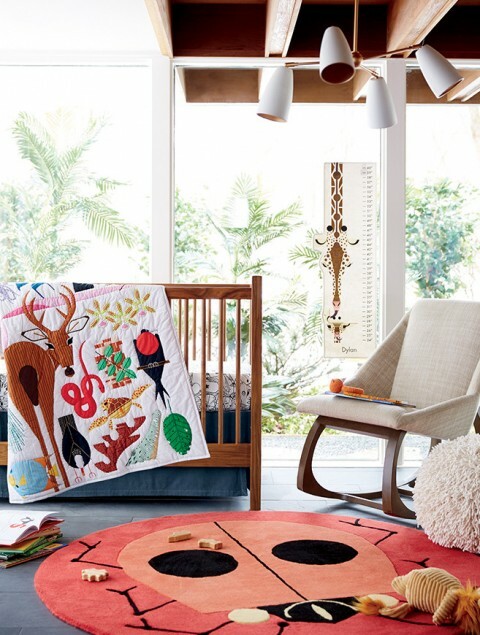 But honestly, the kid and baby sections are often lacking in good modern decor for the nursery or toddler bedroom. 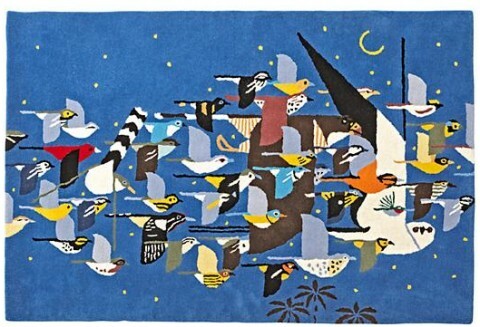 Particularly in store, I have a hard time finding anything that would work for our modern aesthetic in the nursery or toddler room. 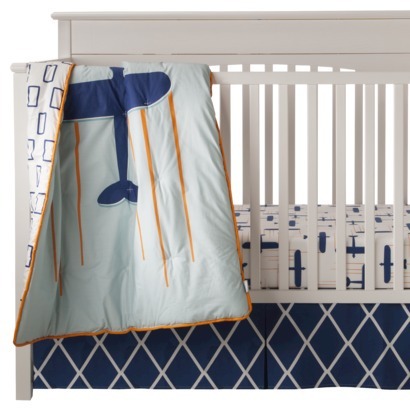 With that being said, I was excited to come across several modern crib bedding sets on Target.com recently, all under $140 and most under $100. Black and white dots. Need I say more? The bold flowers mixed with the clean look of black and white makes this set a favorite of mine. 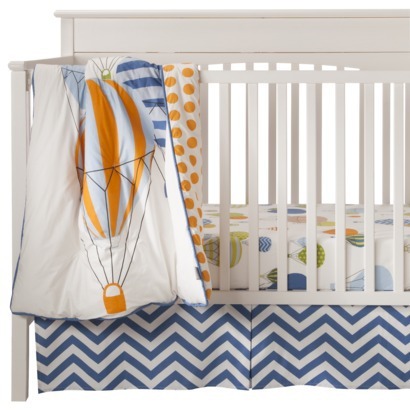 While I do love the set, the less than modern crib is a turn-off and I would love to see this on my current favorite budget-friendly crib, the Babyletto Hudson. I have a thing for airplanes. 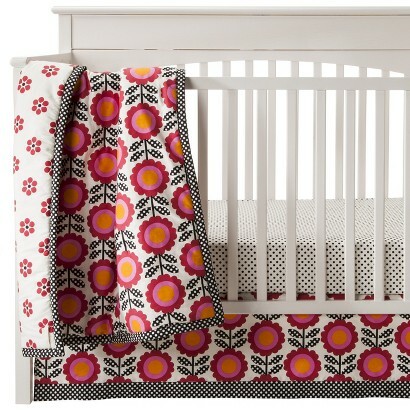 This set is simple yet bold, exactly what I love in a bedding set for a child. 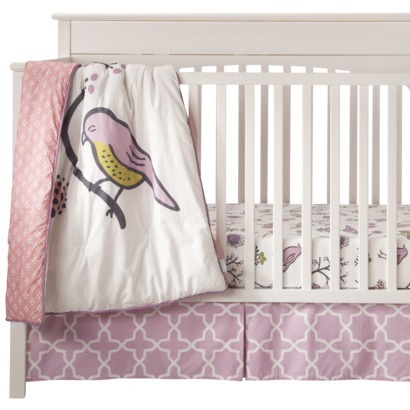 This sweet, yet still very modern, set features soft pink birds and flowers mixed with bold black making this set a stand out for me. Bicycle, bicycle, I want to ride my bicycle. 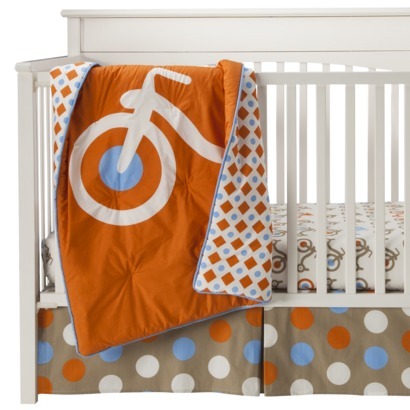 I love the clean bicycle print in fun color palette of orange, blue and beige. 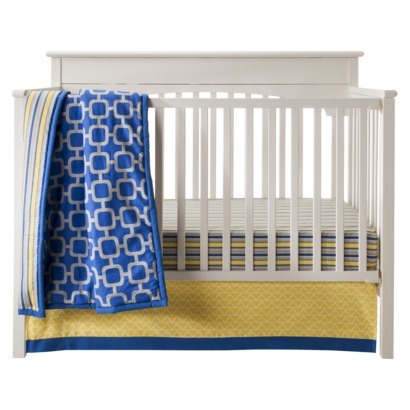 With three simple patterns, this blue, yellow and grey set is fun and simple. Hot air balloons plus orange dots plus chevron is a winning combination. 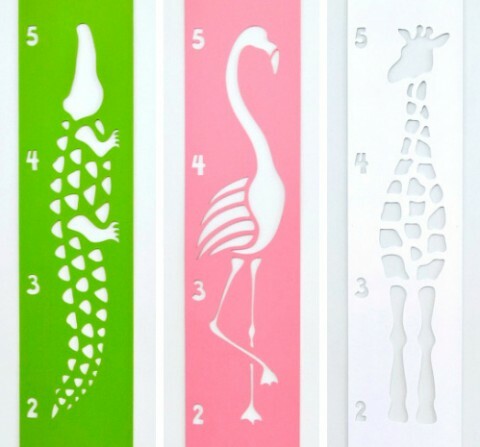 This set could be playful and sweet in any nursery. 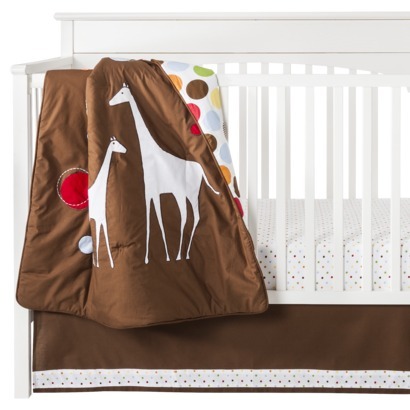 The cute giraffe print plus a bold dot pattern make this a fun modern set. 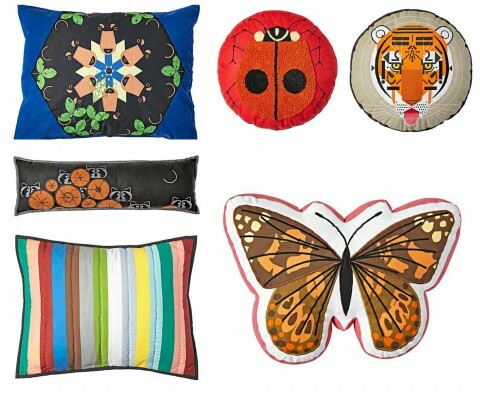 Most of these sets are not available in store but are available online. 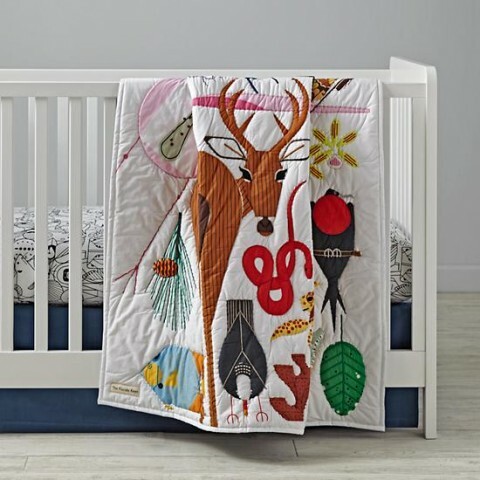 Would you design your nursery around one of these crib bedding sets? Which is your favorite? 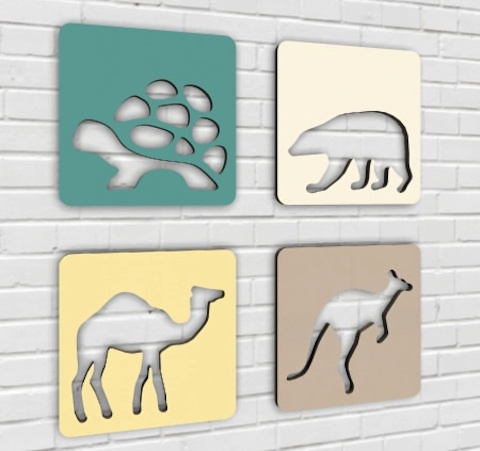 Numi Numi Design recently debuted its new collection of wall decor for the nursery. All 5 designs come in your choice of the 4 colors shown at the top. Pick your favorite or pick them all! 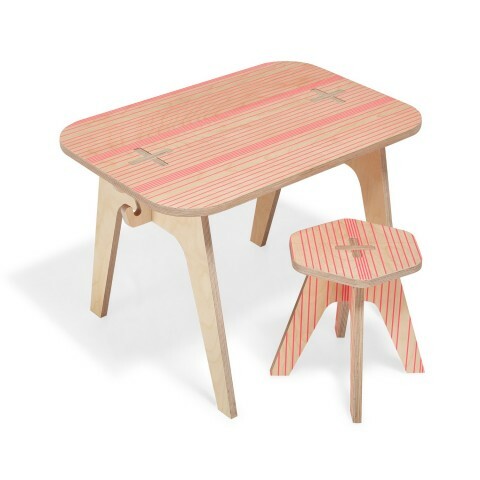 Like all products from Numi Numi Design, these are eco-friendly and make in the USA. 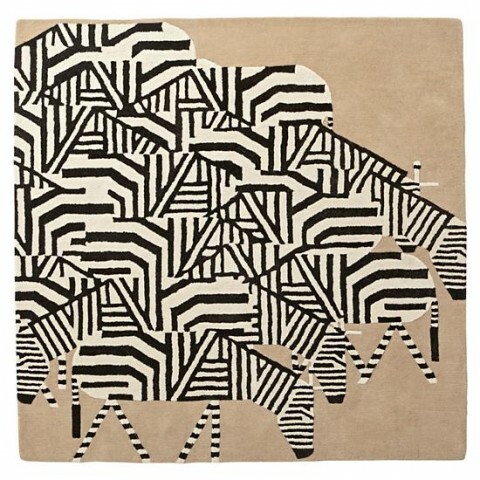 The new Xylophone collection is 10% off through the month of September. Use the coupon code xylotake10%. 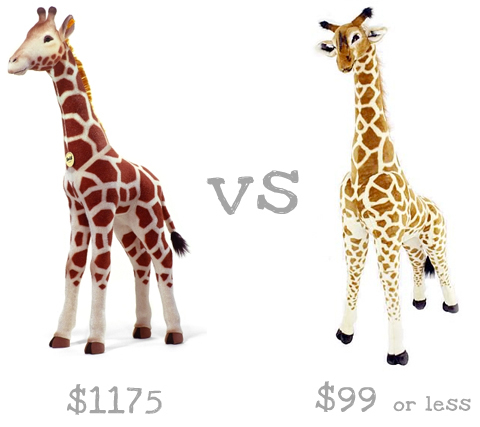 If your nursery or playroom requires a giant stuffed giraffe– and you may be surprised how often this is the case– I’ve got a couple options for you. Unless you’re a serious Stieff collector and aficionado (I’m just a casual collector and fan), this one is a no-brainer though. You don’t have to take my word for it. 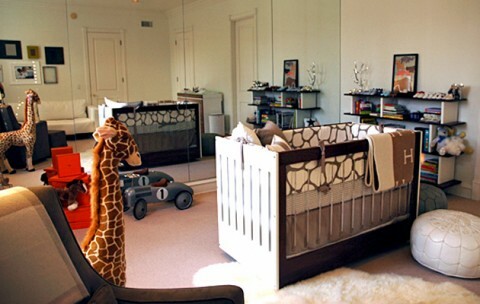 Even celebrity nurseries are sporting Melissa & Doug’s Giant Stuffed Giraffe. 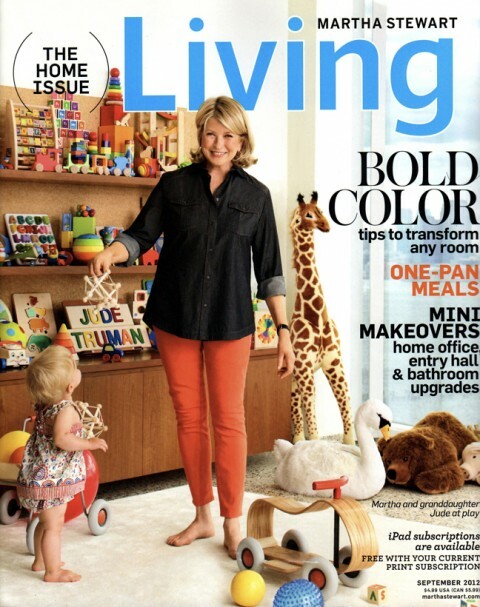 Martha Stewart’s daughter Alexis’s home…. 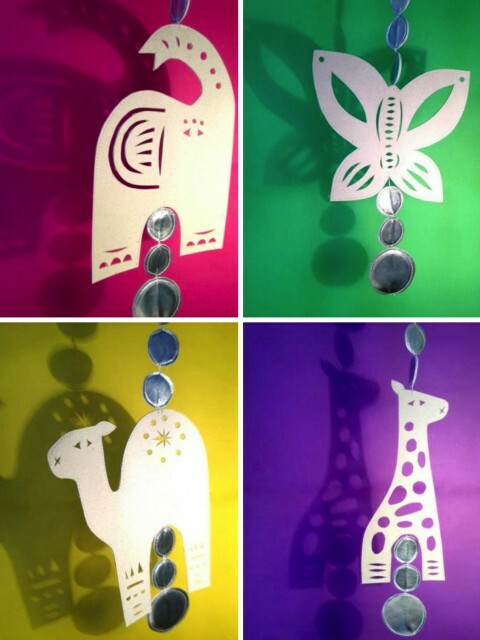 Zid Zid Kids has introduced their Shadow Animal Mobile Collection. 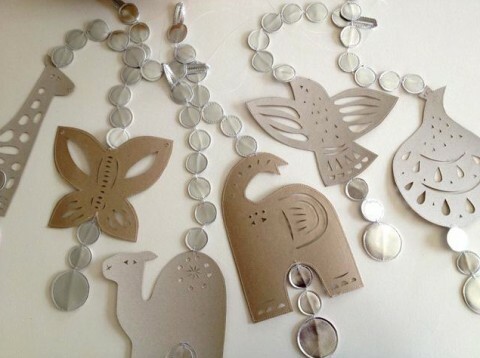 These are cut by hand and made out of recycled paper, cardboard and faux-leather details.